48th min TRY RAIDERS to Mitchell Souter. They put in a grubber and the Sharks can’t get there! Converted Brayden Robertson. Sharks kick off is out on the full. Raiders are back in this game now. 51st min TRY RAIDERS out wide to Junior Tupou, with winger Aidan Gaffey passing back inside for the try scorer. Brayden Robertson can’t convert, it hits the post. The Sharks have now lost two players, left the field with their jersey used as a sling. 55th min TRY RAIDERS to Thomas Croker following the cross field grubber! Very smart kick. Brayden Robertson converts. He has his kicking boots back on. 6 mins to go TRY SHARKS to Hayden Sutton and it is converted by Demeio. This is exciting footy! Can the Raiders come back again?! 4 mins to go! TRY RAIDERS to Thomas Croker. A stunner! Brayden Robertson a stunning goal! There’s two minutes on the clock. 1 min to go Penalty goal attempt fails for the Raiders from in front. AT A GLANCE: The Canberra Raiders (11th on the ladder) will be playing for pride when they come up against the fifth placed Illawarra Steelers in the final round of the regular competition. In Round 8, the Raiders lost to the Cronulla Sharks at Gungahlin, 26-6, and that knocked them out of contention for the finals. They trailed 12-0 at half time, with the Sharks scoring three tries in the space of three sets. From that point the Sharks were always in control, and went on to post a total of six tries. The Raiders scored just one, to Henry Alesi in the ninth minute of the second half. The Raiders have a 2 and 5 record so far this season, while the Steelers are 5 and 2. The Steelers had a 16-14 win over the Sydney Roosters last Saturday at home, surviving a second half comeback from the visitors. The Raiders have a LLLWL record in their past five games, while the Steelers are on a four game winning streak. 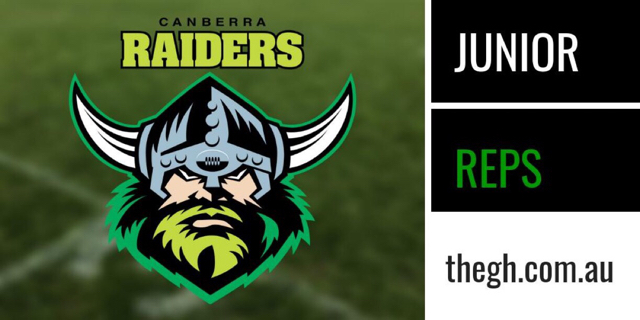 AT A GLANCE: This match should be a highlight of the afternoon - with all four lower grade Canberra Raiders teams on the same program at the spiritual home of the Green Machine. It's finals football one week early! The Canberra Raiders climbed into third place on the SG Ball ladder after last Saturday's terrific comeback win over the Cronulla Sharks. In Round 9, they will be looking to jump over the first placed Illawarra Steelers and shore up a top four finish. The Raiders have won five contests so far this season and lost two, while the Steelers have won five, lost one and drawn one. The Raiders have a WLWWW record in their past five games, while the Steelers are on a four game winning streak, and are undefeated in their past five. In Round 8, the Raiders trailed 20-8 at half time, before an inspired second half comeback produced a 30-26 victory. After the break, Canberra piled on three tries, to Mitchell Souter, Junior Tupou and Thomas Croker, taking a 24-20 lead. The Sharks struck back with a try to Hayden Sutton, the conversion giving the visitors a two point lead with six minutes remaining. But an outstanding try to Thomas Croker two minutes later, and a conversion from Brayden Robertson, delivered an exciting victory. The Steelers are coming off a bye in Round 8. They were big 40-16 winners over the St George Dragons in their last outing. AT A GLANCE: The seventh placed Canberra Raiders take on the first placed Illawarra Steelers in this clash. The Raiders suffered a 28-22 loss to the more lowly ranked Cronulla Sharks last Saturday. It'll be tough to knock over the Steelers in the final round of the competition. A win would eliminate all doubt about a top eight finish, but the Raiders are likely to still get a finals spot should they lose. The Steelers have won seven matches and lost just once so far in 2019. That loss came in Round 7, a two point road defeat at the hands of the Newcastle Knights. The Steelers won 28-4 over the St George Dragons last Saturday. The Raiders have booked just two wins so far, over the Bulldogs and Roosters Indigenous Academy. Welcome to our coverage of a Super Saturday of Canberra Raiders junior footy at Seiffert Oval! Tarsha Gale Cup is underway... and it will be followed by Harold Matthews, SG Ball and Jersey Flegg. Harold Matthews is underway at Seiffert Oval. 3rd min TRY STEELERS to Edward Pearce, capitalising on an early error from the Raiders. No conversion from out wide. 6th min TRY STEELERS to Joe Duggan, well worked move out wide. Steelers right on top. Edward Pierce misses his second goal attempt. 8th min TRY STEELERS to Edward Pierce. The Raiders let the Steelers kick bounce, looks like it’s going out... but the Steelers come through, tap it back and they dive on it. Easy conversion missed. 14th min TRY RAIDERS to five eight Henry Alesi out wide. No conversion from the sideline. 27th min TRY STEELERS to centre Edward Pierce. He gets his second of the match, with the Steelers taking advantage of a Raiders error. Canberra cant take the kick, let it bounce and the Steelers regather. Again Pierce can’t convert his own try... having an off day with the boot. 30th min TRY RAIDERS to Matthew Stewart, great break from Alesi and Stewart backs up with a great run. Alan Malibe converts! Raiders kick off to start the second half of Harold Matthews. 43rd min TRY STEELERS to Edward Pierce. He gets a hat trick... but can he kick the goal? No they’ve switched goal kickers. Goal Trey Barlow. The Raiders had fought their way back into this game but that makes it tough now. Five eighth Henry Alesi again the best for the Raiders this week. 50th min TRY STEELERS to Benjamin Lavender. The Raiders kick was charged down and regathered producing a long break down the eastern touchline. The Raiders rounded them up, but the Steelers then spread it left for the four pointer. No conversion for half Max Riolo. 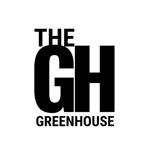 Last edited by The Greenhouse on April 6, 2019, 12:28 pm, edited 1 time in total. 55th min TRY STEELERS to lock Coleby Smith out wide. No conversion. 58th min TRY RAIDERS to winger Ashton Kolinisau, set up by a fantastic run and pass from Henry Alesi. Alesi is a talent. Converted Alesi. Canberra Raiders kick off to start SG Ball. This is a big one! Raiders get the chance to jump the first placed Steelers on finals eve. Last edited by The Greenhouse on April 6, 2019, 12:37 pm, edited 1 time in total. 2nd min TRY RAIDERS to fullback Manase Kano. Stunning start from the Green Machine, terrific team try. No conversion. 11th min TRY STEELERS to Oliver Parrish. Good run from half Jayden Sullivan on the previous play to set it up for the hulking forward. Sullivan converts. Raiders kick off is allowed to bounce dead by the Steelers. And the goal drop out is out on the full! Penalty in front in the red zone. 17th min TRY STEELERS to half Jayden Sullivan, good run in the lead up from five eighth Talatau Amone. Sullivan converts his own try. That was off the back of a penalty, too many being given away by Canberra. 21st min Fullback Manase Kahu makes a great break, but the Raiders can’t score. Now another penalty given to the Steelers. This is getting ridiculous. Gets them out of their own end. 23rd min TRY STEELERS to five eighth Talatau Amone. That one is off the back of a repeat set. Sullivan converts. 26th min TRY STEELERS to centre Aaron Schoupp following a grubber. It’s a long, long way to come back from this. Sullivan converts. Steelers knock on the kick off. 29th min TRY RAIDERS to Jack Williams, good passing out wide. They make them pay for the error. No conversion. 32nd min TRY RAIDERS to Manase Kaho. The come back is on! Brayden Robertson converts. 35th min PENALTY GOAL RAIDERS to Brayden Robertson. Steelers kick off to start the second half of SG Ball. 45th min TRY RAIDERS to Junior Tupou. The Steelers fullback knocked on the kick and the try followed quickly. Brayden Robertson converts.